Beer in a can ain't what it used to be, namely: cheap, tinny-tasting, fizzy and yellow. 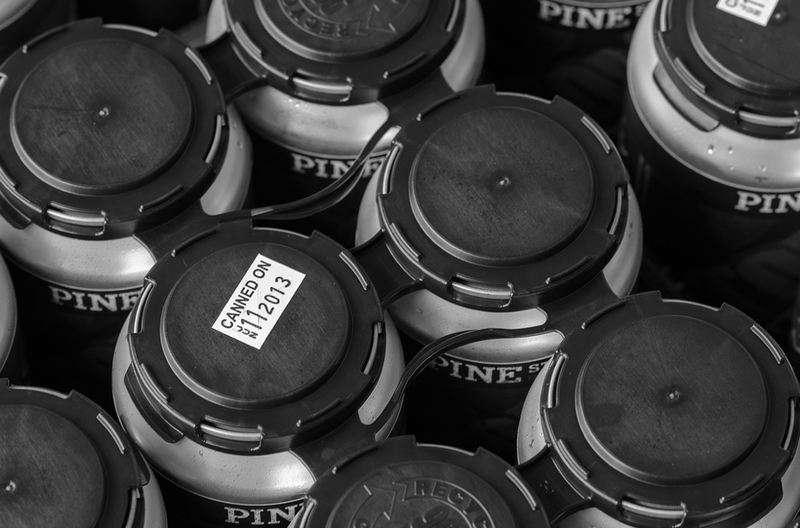 These days, canned beer is craft beer—and vice versa. A year ago, not a single one of the area's many breweries was canning. Now, Worthy, GoodLife and, as recently as this summer, 10 Barrel, all offer delicious, easy-to-carry canned beers. By now, most beer drinkers are familiar with the ways in which cans trump bottles: easier pack, transport and recycle; aluminum cans prevent light degradation; a tighter seal makes for fresher beer; dents doesn't shatter when dropped. Gone are the days when a canned beer meant an inferior beer. Here are four (very different) Oregon canned beers worth trying. In late June, 10 Barrel quietly rolled out Pub Beer, a crisp-perfect pilsner. What? You didn't notice? That's because there was no fuss made about the unassuming golden brew. Available in six-packs ($9) and cases ($36) only at the Galveston Avenue pub (also their Boise pub), you won't find it in the beer aisle at grocery stores or bottle shops. Even still, the canned beer sold so fast that 10 Barrel quickly ran out. Luckily, Pub Beer was just re-released about one month ago. We love it for its crisp taste, manageable 12-ounce size and its simple, Duff-style presentation (Homer would be proud). Try one this weekend at 10 Barrel's "Get Squashed" Pumpkin Fest. "Get Squashed" Pumpkin Fest from noon to 9 pm Saturday, Oct. 19 at 10 Barrel's patio. Five different 10 Barrel pumpkin beers, live music, pumpkin coloring for kids, and a pumpkin-themed menu. From Astoria, this stout is more like dessert in a can. Dark as blackstrap molasses and nearly as thick, the Cavatica Stout is for sipping only. Don't be intimidated by its high alcohol content; instead treat it like a fine wine and pair with foods accordingly. This rich brew works just as well alongside a slice of velvety cheesecake as it does with a dainty spinach salad topped with blue cheese crumbles. By the way, "cavatica" is Latin and translates to: belonging to or born in caves. Portland's Hopworks Urban Brewery rarely—if ever—makes a bad beer. Likewise, every canned HUB beer is a winner—IPA, Lager, Pig War White IPA, Rise Up Red and, especially, the Abominable Winter Ale. Winter beers are typically dark, slightly sweet and lightly spiced strong ales. HUB's Abominable is all of these things and does such a good job it won our winter seasonal blind taste test two years ago, which included us sampling more than 20 winter beers. Extra bonus, Abominable comes in a can! 'Tis the season to drink one now. With locations in Eugene and Springfield, Hop Valley Brewing proves the Willamette Valley is also on board the exceptional-beers-in-a-can train. It's hard say what we like so much about Alphadelic IPA. Mostly, like GoodLife's Descender IPA (also available in a can), the Alphadelic is just a solid IPA. It wins extra points for its attractive, simple green-on-silver look. Try one here in Bend, then go visit the newly redesigned Eugene brewery and tasting room.